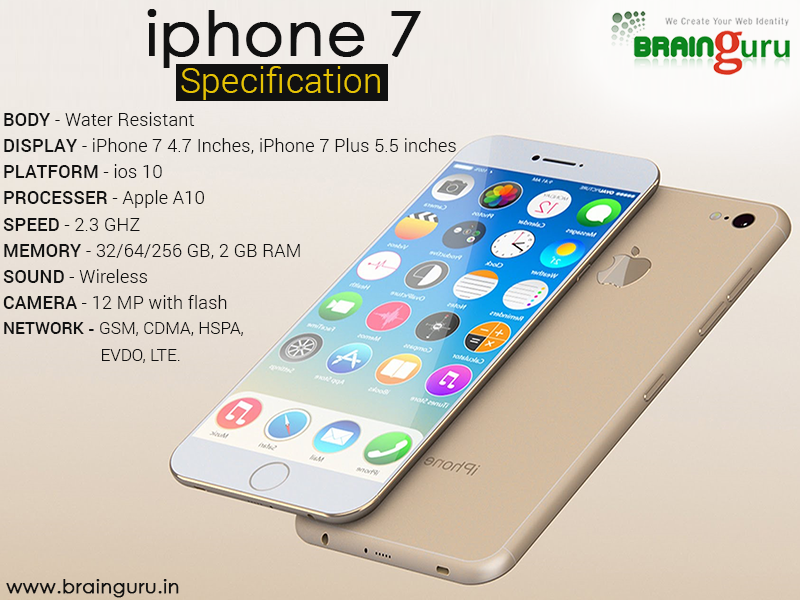 Apple iPhone 7 and 7 Plus Launch | Brainguru Technologies Pvt Ltd. Finally iPhone 7 and the iPhone 7 Plus smartphones Launch last Night. Apple Add Some New Features in this phone. Talking about the performance, the two iPhone 7 handsets are powered by the new quad-core Apple A10 Fusion processor. The processor has two high performance cores and two high efficiency cores for a longer battery life. It also has a new 6-core GPU which is 50% faster than the Apple A9 processor.